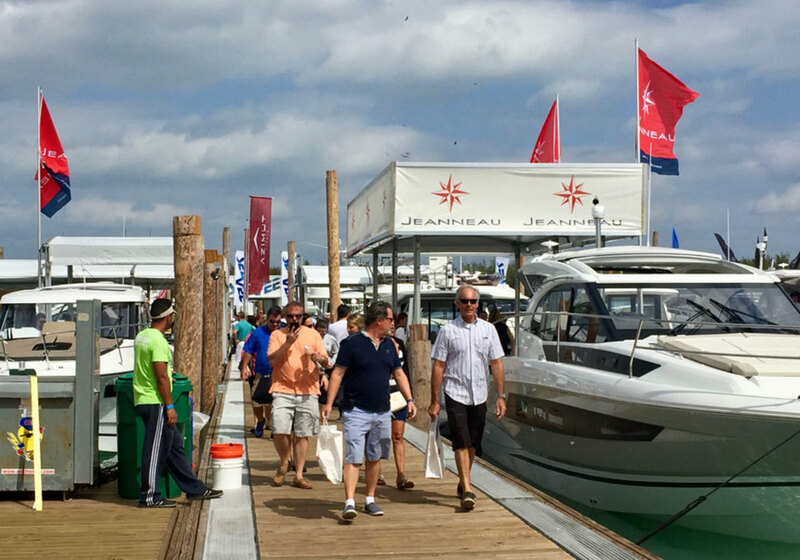 Crowds enjoyed excellent weather at the 2018 Miami International Boat Show. The Miami International Boat Show, owned and produced by the National Marine Manufacturers Association, and the Miami Yacht Show, managed and produced by Informa and co-owned by the International Yacht Brokers Association, had considered moving the show dates to a Wednesday to Sunday schedule. The Miami Yacht Show is moving from its longtime Collins Avenue location on Miami Beach to downtown Miami, next to the Adrienne Arsht Center for the Performing Arts and the Sea Isle Marina. The Progressive Insurance Miami International Boat Show takes place on Virginia Key at Miami Marine Stadium Park and Basin. Proximity between the two shows, combined with a new water taxi and shuttle bus service connecting both events, will make it more convenient for attendees and exhibitors to get to and from each show. “Having the Miami International Boat Show and the Miami Yacht Show as neighbors will further elevate Miami as the ultimate boating destination over President’s Day weekend while creating a more seamless experience for boating enthusiasts and exhibitors looking to attend both shows,” said NMMA president Thom Dammrich.